While in Boerne, Texas, we agreed that we needed a time of rest. We cried out to God asking Him for money for us to be able to take a couple of days of rest in a hotel all by ourselves. The following day was Sunday and we attended church with our friends and ministered to the brethren that afternoon. By the time we left that church, we had more than the money we had asked God for. Different people had walked up to us handing us money saying God had told them to do so! We cancelled our next appointment and then drove past Houston into a small town called Winnie. We drove around checking out different hotels trying to find one that would best suit us yet be economical. After a half hour of this driving around, the Lord spoke to us and said, “why are you driving around and around? 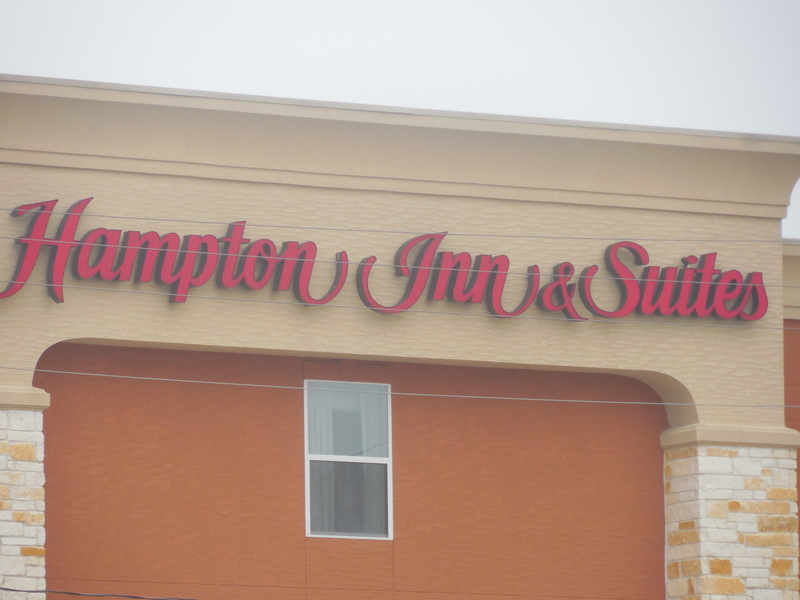 Take that Hampton Inn that you like. Do you not serve me? Take that hotel and I will pay for it.” So, we obeyed and went to check in. The money God had given to us the day prior was enough to pay for our rooms for a couple of days and also buy food, but still we thought it was too much money to spend on a few days. But upon God’s request, we obeyed. The next day, our children and the nanny went downstairs for breakfast. When they finished, Pitana and I also went on our breakfast date (all included in the hotel pricing). When we got up to leave and return to our room, an older couple that were there began to talk to us admiring the baby who was with us. We stopped and talked for some time and found out that they were also Christians. We called our children to come and meet them and enjoyed getting to know each other. We then went on with our day, to have time alone as a family. Sarah, our nanny, was going downstairs to have her own time alone, when she saw the couple we had met earlier. They were at the front desk. When they saw her, they told her that they were trying to pay for our hotel room but didn’t know which name it was under. So, she helped them and our hotel bill was paid for! On top of that they handed her a brand new digital camera for us with a new memory card and batteries! They said that they had noticed that we had taped our camera and thought we could use a new one! Praise be to God! He indeed paid for the hotel as He had spoken and we had a very good rest and enjoyed our time alone as a family. How refreshing! Previous postThe thorn in the flesh !